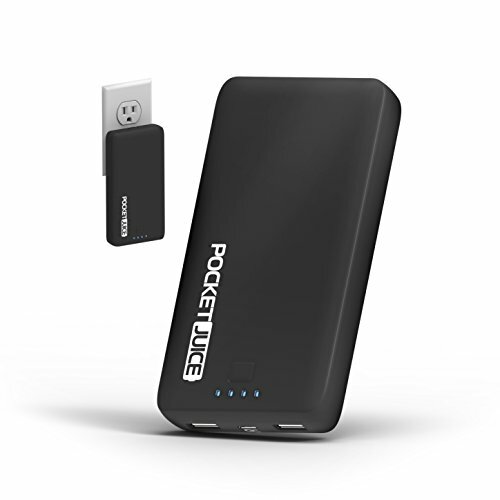 LIGHTWEIGHT FAST CHARGING: Enjoy powerful performance wherever you need it with a cellphone charger that is super slim, slides easily into your pocket or purse and weighs only 10.3 ounces! SUPERIOR FEATURES: A folding AC wall plug plugs directly into an outlet or is tucked when out of use. 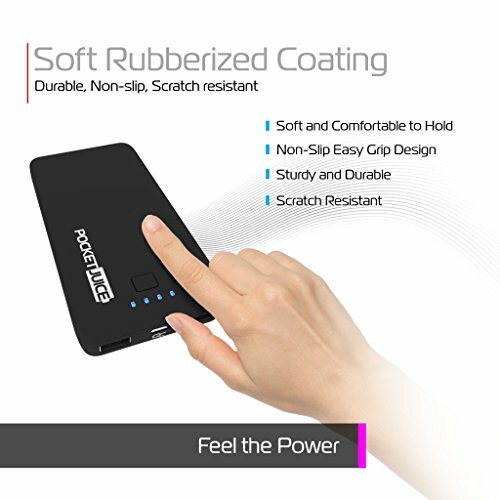 The power bank charges in up to 10-12 hours. It measures only 5.74″ x 2.95″ x 0.89″ inches. 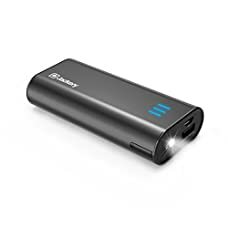 With Tzumi’s 12,000mAh Pocket Juice Endurance AC Portable Charger you’ll take your smart devices and other electronics on the go with you and keep them charged all day long. 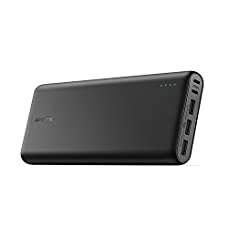 Despite being super slim and extremely lightweight, this external battery power bank has enough juice to charge multiple devices multiple times over! 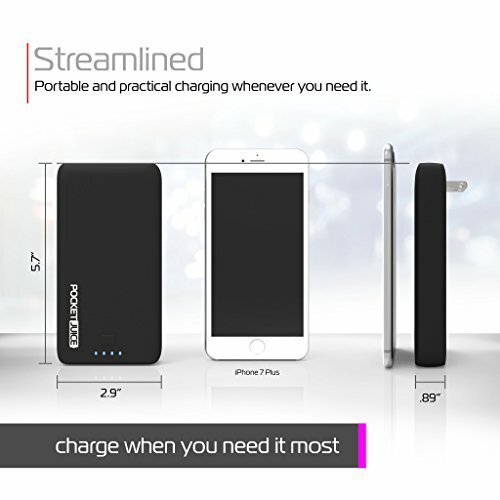 Tzumi’s Portable Charger is without doubt one of the fastest phone and tablet chargers on the market and can charge compatible devices quickly and efficiently to keep your smart devices fully charged and performing optimally so you’ll perform to the best of your capabilities no matter what challenges your day throws at you. 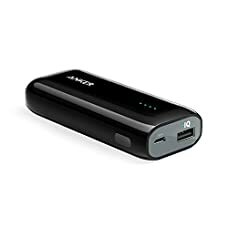 They come pre-charged and are built with a powerful rechargeable lithium-polymer battery that is more efficient than previous generation Li-Ion battery technology when it comes to weight-to-performance ratio and will keep your smart devices powered up and ready to go. 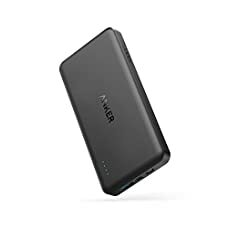 We have engineered our portable chargers with a protective casing that keeps the internal components safe and performing at their best for a fast, durable, and streamlined charging experience that you all the time rely on. 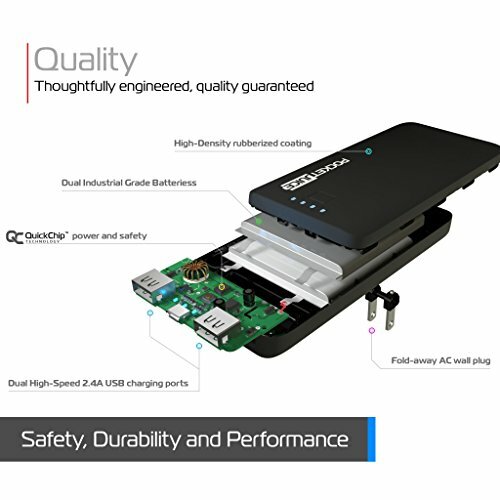 Additionally, you’ll quickly and efficiently read your battery level through the 4 LED indicators for added peace of mind. At Tzumi, we are committed to providing you with the very best in consumer electronics products. We’re convinced you’re going to be happy with your purchase, but if you are unsatisfied for any reason, please contact us directly so that we will be of assistance. 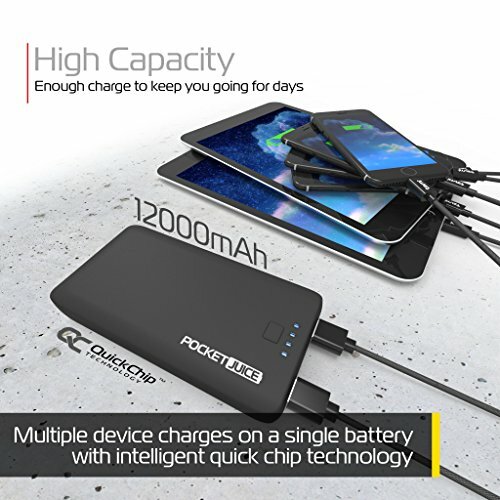 LIGHTWEIGHT FAST CHARGING: Enjoy powerful performance wherever you want it with a cellphone charger that is super slim, slides easily into your pocket or purse and weighs only 10.3 ounces! MAX CONVENIENCE: 4 handy LED status lights let you know how much juice you have left, and when it’s time to recharge the battery. 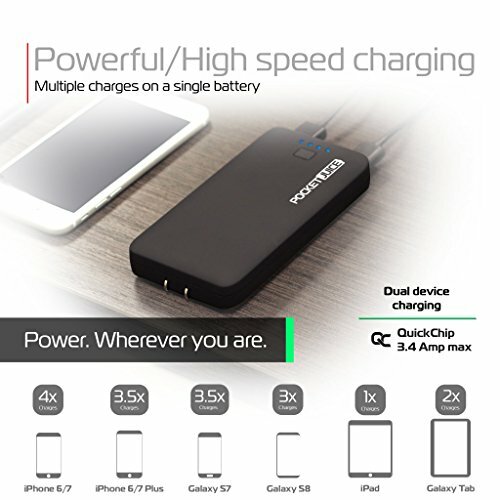 2 high speed USB ports charges with a combined 3.4A output. 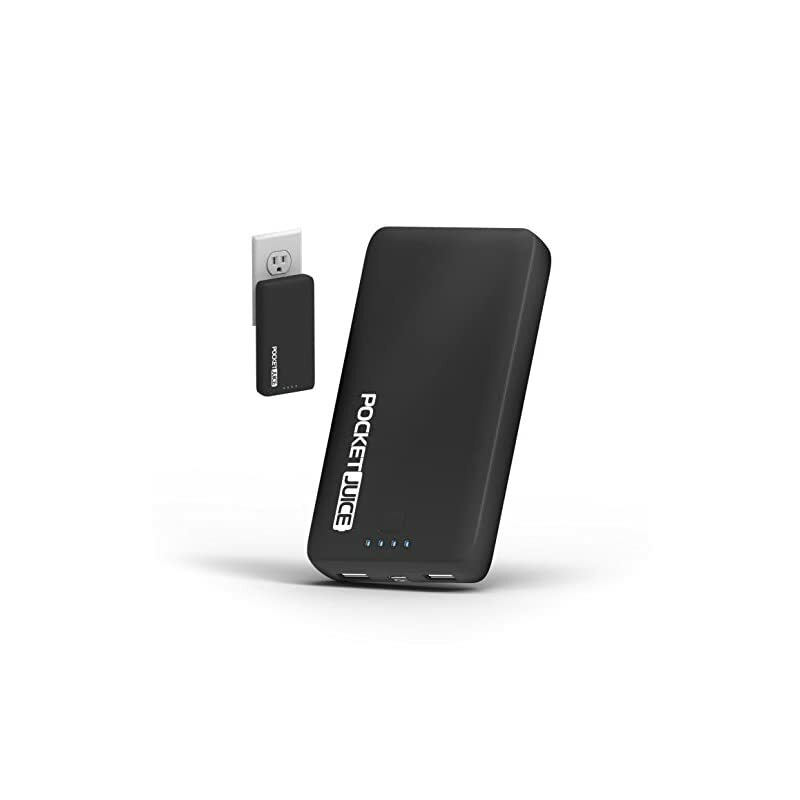 UNIVERSAL COMPATIBILITY: Charge almost any smartphone, iPad, iPhone or tablet. Use the included micro USB cable for Samsung Galaxy and Android phones, or plug any cables into the USB slots.